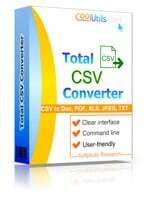 Total CSV Converter is a versatile and user friendly utility intended for converting CSV files to DOC, PDF, HTML, TXT, XLS, DBF, XML and OpenOffice. The program has a robust interface, designed to be easy to use for even a first-time user. Total CVS Converter is one of the fastest file conversion utilities. It does not require any special knowledge or rich experience. This CSV DOC Converter is great for both professionals and beginners. CSV (Comma Separated Values) format is intended for storing spreadsheet or database-style information. In CSV files, each line contains one record, and each field within the record is separated by a comma. How to Convert CSV to Word? The program features a powerful engine and batch function. You can set the tool to convert scores of files and launch conversion. The program will process a hundred of files almost as quickly as one file. 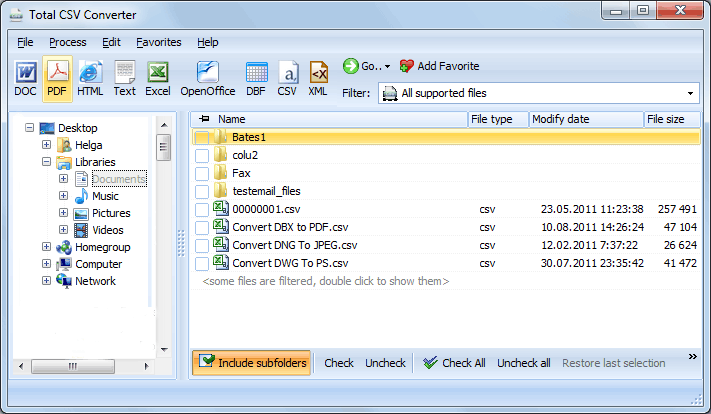 To batch-convert CSV files, select a folder with CSV files and click Check All. All the files contained in the folder will be check-marked automatically. Select DOC. 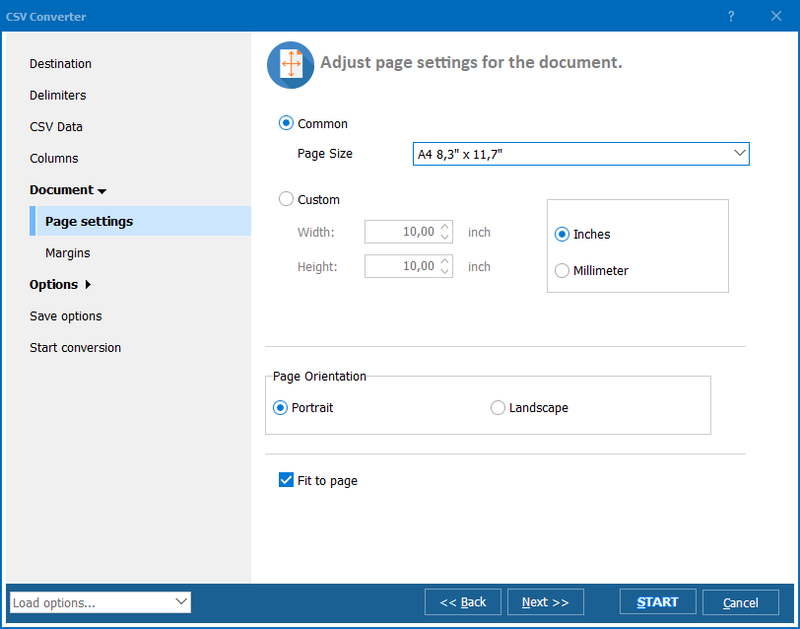 The Wizard will guide you through the whole process and help you set input/output parameters and select delimiters. You can either leave the default settings or specify your own settings. Next time you convert CSV to DOC, the settings will be the same. When you have made your settings, click Start to complete the procedure. Total CVS Converter features command line support. 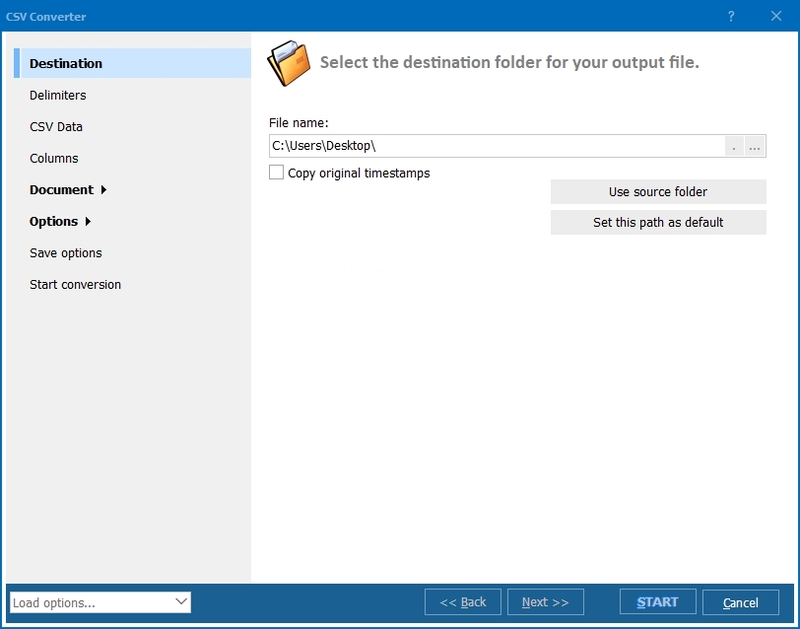 With the help of this function, you can convert files from within other applications. The program integrates into Windows seamlessly, so you can manage your files from the desktop. To convert a file from the desktop, right-click on it and select Convert to. Then select DOC. These advanced features are available for registered users. The program is readily available online. You can either buy the activation code right now or download the free trial version. The trial version is valid for 30 days. You can get acquainted with the tool over this period and make your own opinion. Registered users will receive all necessary tech support and upgrades for free. Convert CSV to Text and get accurate results!